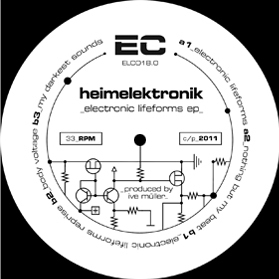 heimelektronik pres. the transformation of voltage controlled machines into humanized systems as a process of a new beginning - it provides the electronic lifeforms here and now. pumpin 808 beats and floating synthlines for all the dj bags and electroheadz - limited to 100 clear and 100 red records - grab the wax! !